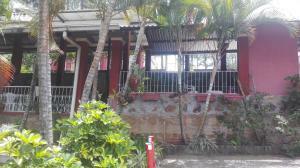 ﻿ Best Price on Park Place Hotel in Siguatepeque + Reviews! Featuring a fitness center and free WiFi, Park Place Hotel is located in Siguatepeque. This 3-star hotel offers a shared lounge. The property has a restaurant. At the hotel, the rooms include a desk and a flat-screen TV. Rooms are complete with a private bathroom equipped with a shower, while some rooms at Park Place Hotel also provide guests with a seating area. The rooms at the accommodation have air conditioning and a closet. Guests at Park Place Hotel can enjoy a Full English/Irish breakfast. The hotel has an outdoor pool. You can play ping pong at this 3-star hotel. Speaking English and Spanish at the reception, staff are willing to help at any time of the day. Comayagua is 26 miles from Park Place Hotel.